Adobe CS4 Suite Now Shipping | Shelby White - The blog of artist, visual designer and entrepreneur Shelby White. 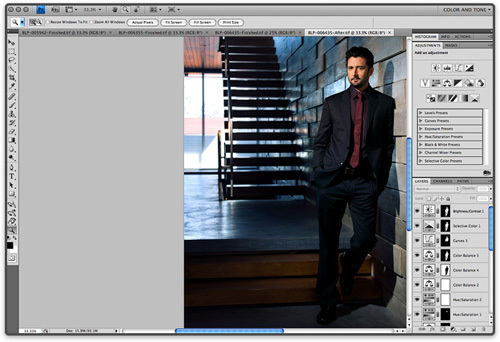 Today Adobe has announced the availability of Photoshop CS 4 and the entire Creative Suite 4. It features a tabbed interface, enhanced color correction and non-destructive editing tools. After using Photoshop CS4, I noticed quite a bit of areas where they speed things up. The interface is also much smoother and fluid than CS3. Check out all of these features and more. Also available today are the following: Photoshop® CS4, Photoshop CS4 Extended, InDesign® CS4, Illustrator® CS4, Flash CS4 Professional, Dreamweaver®CS4, Fireworks® CS4, Contribute® CS4, After Effects® CS4, Adobe Premiere® Pro CS4, Encore® CS4, Soundbooth® CS4 and Adobe OnLocation™ CS4. Pricing for the new programs is available at Adobe’s online store. If you purchased the previous suite (CS3) then you can upgrade for $699 I believe. Thanks for the comments! Was looking at your work too, looks really solid man. Great blog too.